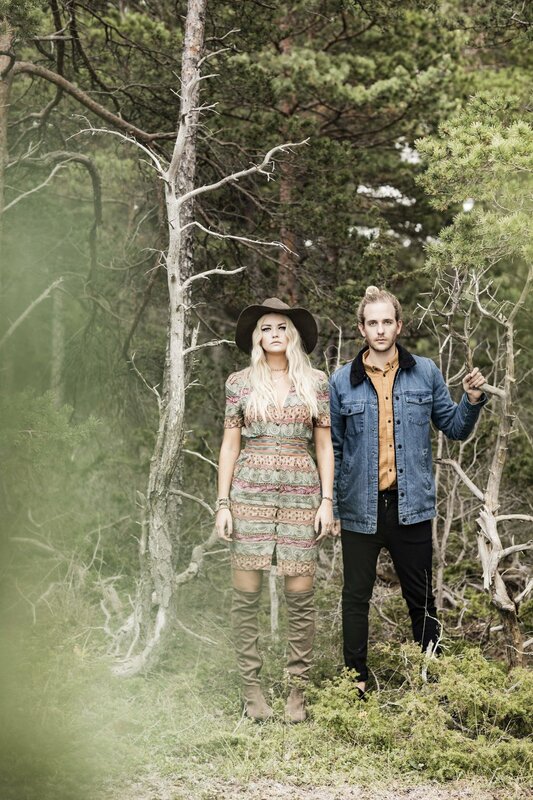 Swedish Folk-Pop Duo Smith & Thell Discuss Their Upcoming Debut Album "Soulprints"
Smith & Thell is a Swedish folk-pop duo based in Stockholm whose debut album "Soulprints" is due for release on May 12th. We connected with the very talented artists and songwriters to discuss their upcoming album, find out more about their very interesting "Yes Man Code", as well as how they determine which songs to keep for themselves and to sell, and much more. After reading our exclusive Q&A with Smith & Thell, follow them on their social media streams and pre-order "Soulprints" on iTunes. When you guys moved to Stockholm, you agreed to live by a "Yes Man Code" for a whole year; looking back, do you remember one time when you regret having to implement that code? Funny question.. Well.. We ended up at some awkward parties consisting of some super-difficult people, plus we got quite a few hangovers we could have lived without. The ’stay for another beer’ strategy was common during this phase. We really recommend everyone take on a ’yes man’ period in life. If you had to describe your music in three words to a stranger, which ones would you select? As songwriters for other artists as well, how do you decide which songs to keep for yourselves and which ones to sell? We just know. We get attached to a song differently when it’s written for someone else versus for ourselves. I really like the visual for your new video "ROW"; how did you guys decide on the premise of the video and who directed it? Thank you! The director is August Segerholm and the animations are made by an animation firm from our home town Helsingborg called Family & Friends. We felt like the landscape of the island of Gotland, Sweden (where we filmed it) was perfect setting for the song and video. Tell us about what we can expect from your upcoming debut album "Soulprints", which is due for release on May 12th. Also, how will it be different that your EP "Statue" in terms of the overall sound? You can expect a real emotional roller coaster with the album as most of the songs are about dealing with grief, in one way or another. Emotionally we touch on so many things, anger, apathy, sadness, thankfulness, forgiveness and the feeling of loss being the core emotion to them all. Also our listeners will get to know a little different side of us on a few songs as we’ve been experimenting a bit. Describe your song development process. From the first lyric written to the recording studio, how long does it typically take for a Smith & Thell track to be completed and when do you know it is finished? We never sit down in the studio with each other and be like ’hey we have to write a new Smith & Thell song today'. That process happens when we write with/for others, but for the band project, we consider it an honest and not forced process. We feel like writing when it comes to us. Almost all song ideas on the album started outside of a studio. We've learned to trust our gut-feeling. Usually we start a song and leave it for a few months, taking our time to finish lyrics and fine-tuning melody a little here and there. Then we wait for the right day to record. Basically the whole process is based on the "when you know you know" mentality. Barring a ban of Swedish citizens by President Trump, can we expect to see you guys on stage performing in the United States this year? Yes, very soon, but maybe we should hurry before no one else is welcome. ;) In the meantime we want to dedicate our song ’Row’ to Melania Trump as she might need some encouragement in order to be able to put up with him.